I love camping, but not roughing it. We had a motorhome for years and loved traveling all over the place. 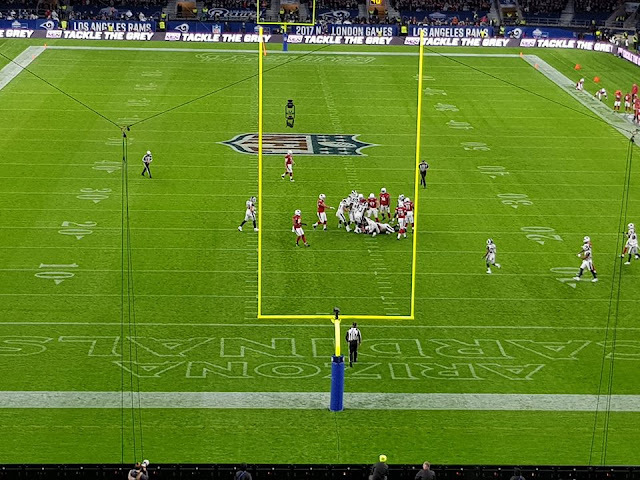 It was tons of fun. 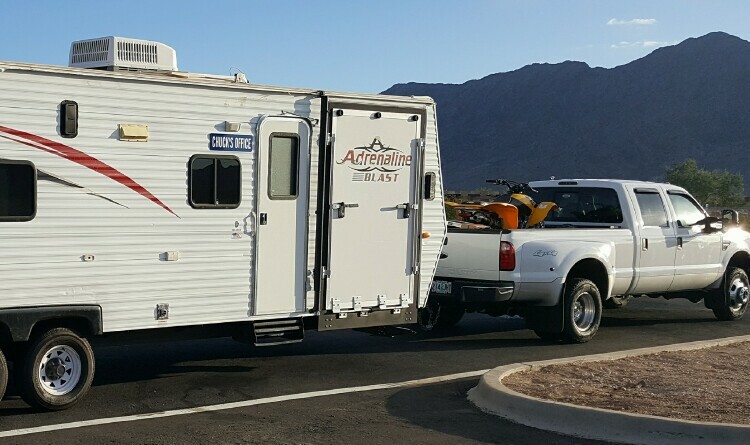 That travel-camping bug rubbed off on my two sons and they both love the outdoors and roughing it. However - my oldest son decided to upgrade to a little less roughing it. 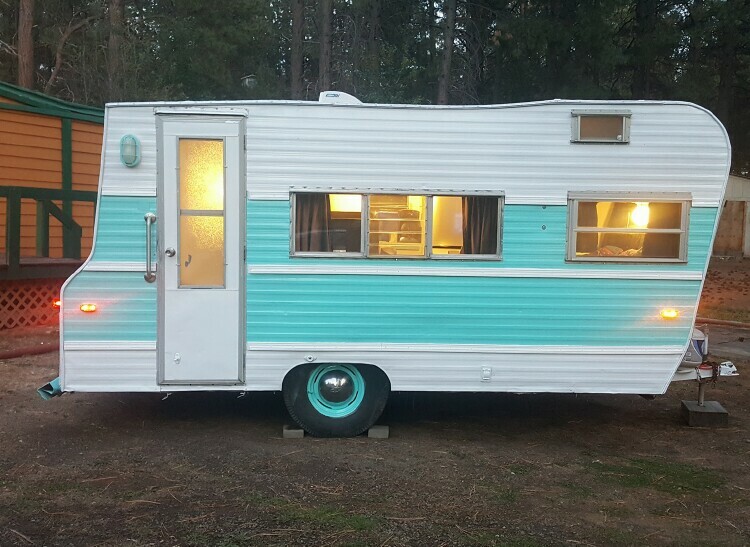 He bought this wonderful little vintage camper and totally remodeled it. I love this little treasure. I thought you might like seeing it too. 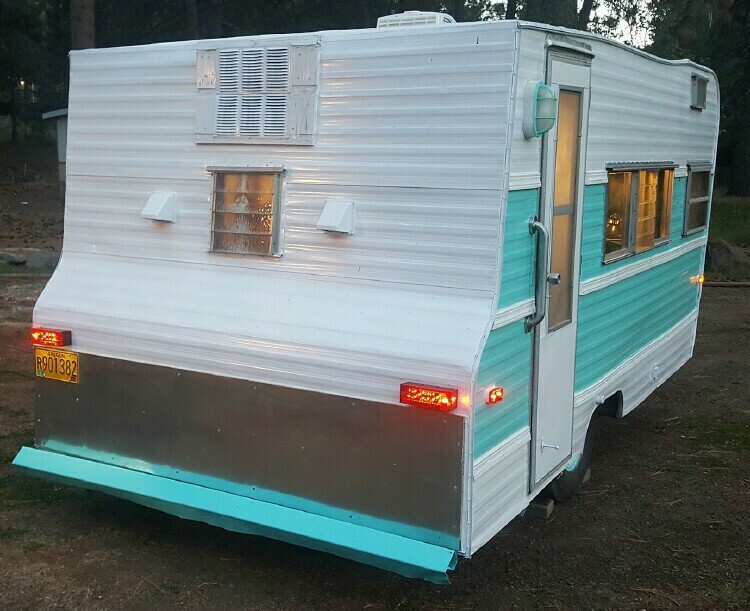 He lived in Oregon and bought this little cutie for a couple hundred dollars. It needed a lot of work. All the outside was repaired and then painted. All new wiring and plumbing too. Every inch was gone over. The inside is a little doll house. I love how he continued the original vintage colors. The double bed folds up as a futon sofa. There is a single bunk above also. 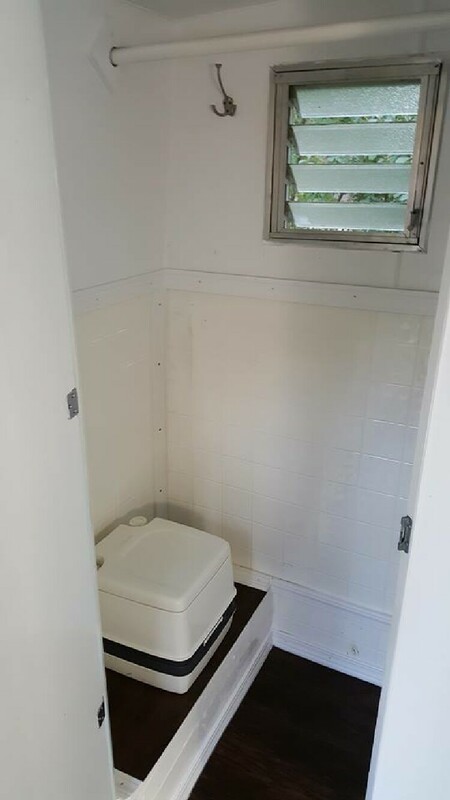 Potty and shower room with all waterproof paneling. Air conditioning and even a place for a small toaster oven. New Refrigerator & Microwave too. 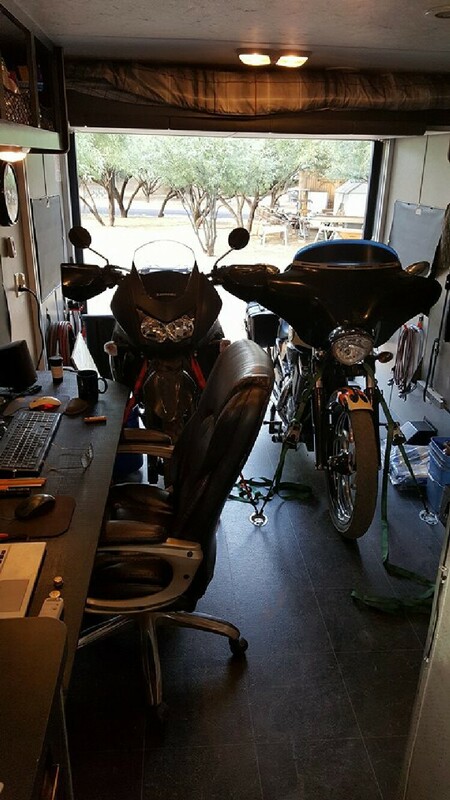 This is how he arrived in Phoenix, with one of his motorcycles in the back of the truck. He sold his house and now lives here, we are so excited to have him close to us all. Brothers are such great friends, these two are only a year apart and always so close. He gave this little cutie to his brother. 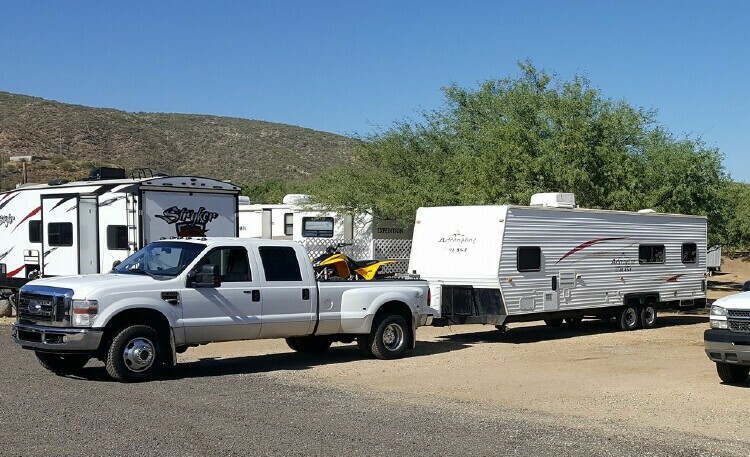 When he got here, he decided to buy himself a toy-hauler trailer that is much bigger. He has lots of toys and wanted to have a place to live and still take his toys with him. He works from home, so he can live anywhere. His new toy has two ramps, one in the back and one up front on the side. This one in the back is perfect for both of his motorcycles and his desk area. There's also a sofa and full kitchen and bathroom with a large shower in the middle. Then refrigerator and washer and dryer and more room for toys up front. Now these two can be off camping together like old times. This entire post is just fabulous Marty! The trailer is darling. I know you are thrilled to have all the family together. 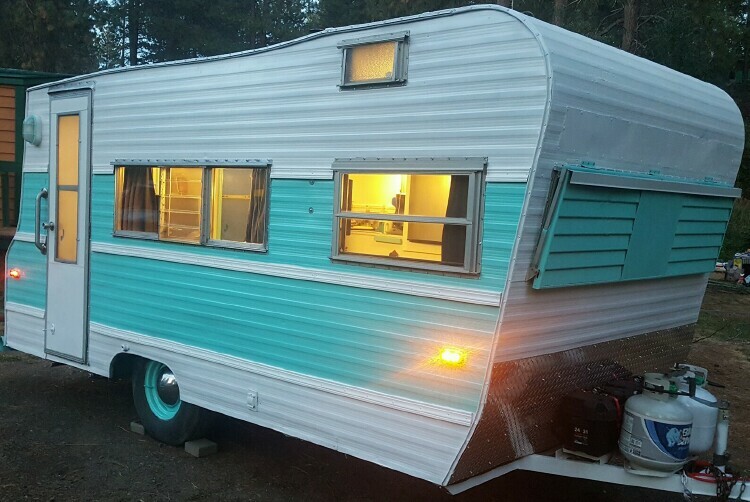 That vintage trailer is fabulous! He did a very good job restoring it and keeping to it's original colors/design. I'm glad you are all together again. 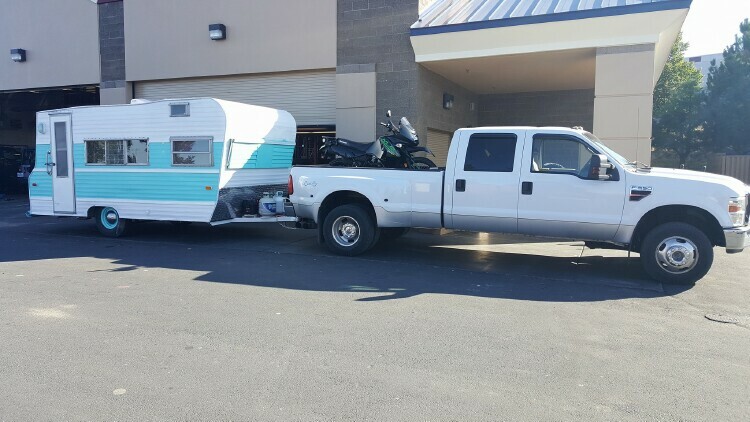 I see a lot of camping in your future...perhaps you should get a trailer also and you can all caravan! 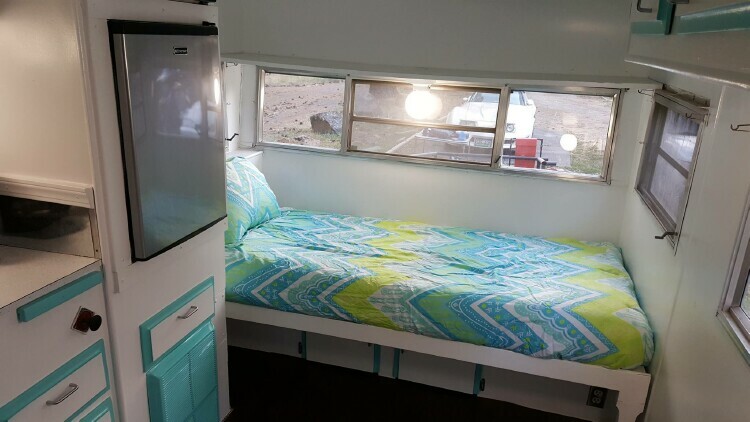 The vintage camper is so much fun. Such a great story about your boys! 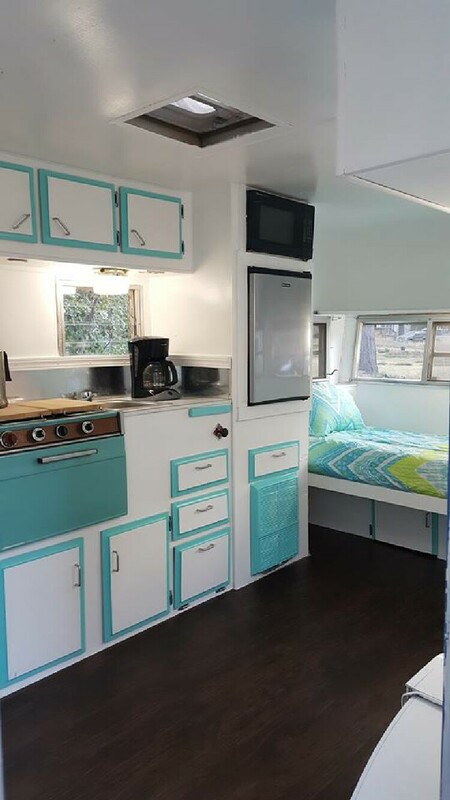 Wow what a great re love of this fabulous camper. I love he stayed to the true vintage colors. Glad your boys are near you and I think you need a cute glamper in your life. 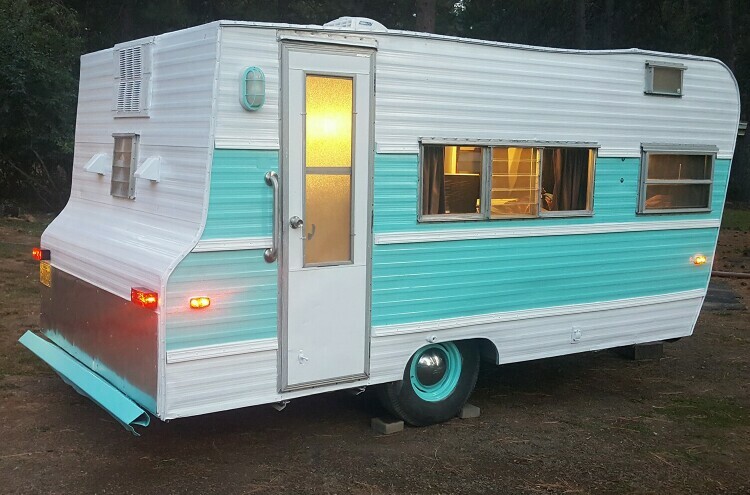 I could see a cute glamper with some animal prints and some gold, black and silver interior! Just sayin!!! 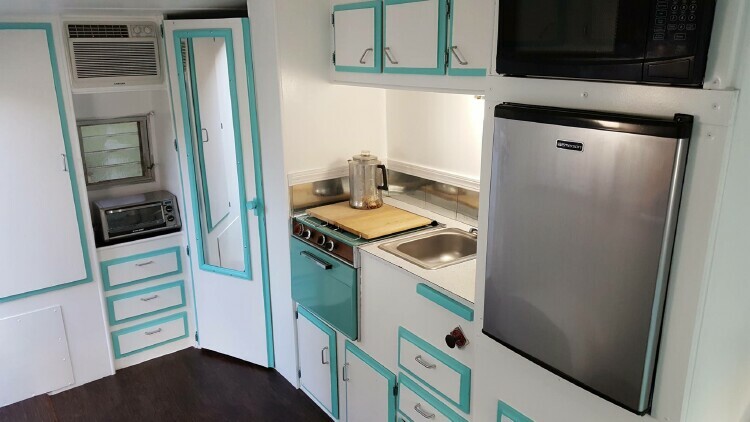 Your son really did an outstanding job on remodeling that trailer. Love the color. So glad that he is close by. 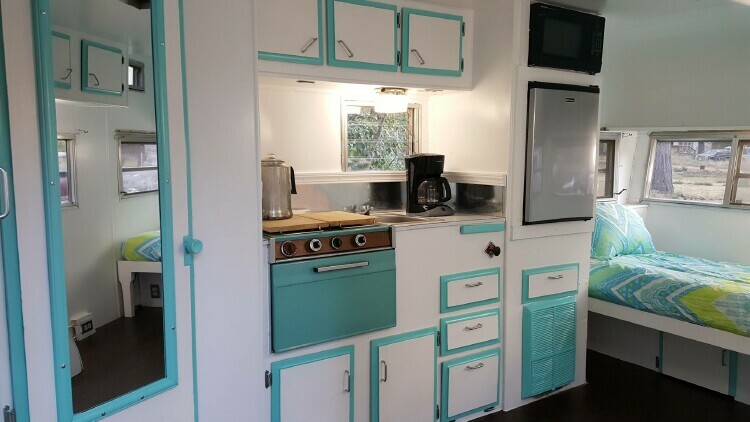 OMGOSH- I just LOVE that little vintage camper. He did a fantastic job on it. What a blessing that he is so close by now and will be able to spend time with family. There is nothing better than siblings that are 'close'. They understand each other like no one else will ever be able to do. Adorable. I love the color scheme. 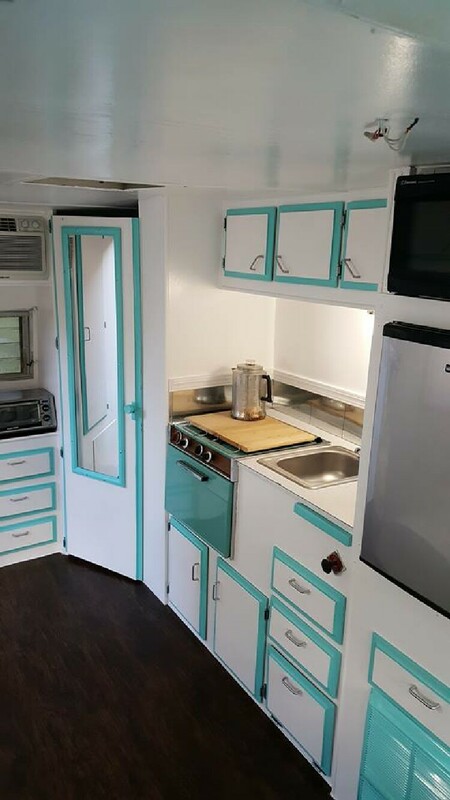 We repainted our camper last summer. It was a ton of work. I can tell that a lot of work went into this project too. I love seeing it.